As you already know, the commercial greenhouse is a massive worldwide industry that is commonly used for floral and food production. It is highly preferred as it helps horticultural experts to control the medium at which crops are grown, hence controlling both quality and output. 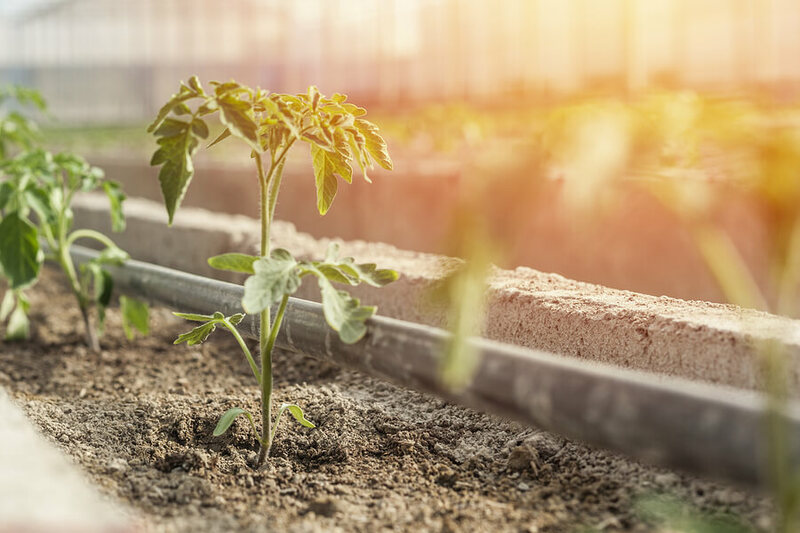 Trends show that greenhouse production has become an essential farming strategy in the United States and the expected gross revenue by 2020 are supposed to be more than &4 billion. Despite the widespread use of greenhouses, issues of control and management are emerging with a massive number of greenhouse farmers recording low output and poor product quality. However, the only way to reverse the current trends is enrolling for horticultural courses so that individuals can have basic skills of controlling diseases, working in crop nurseries, and having the overall knowledge of managing a greenhouse. There are other few hacks that one will learn from horticultural school that will help in greenhouse management. One of the most critical aspects of using a greenhouse for crop production is that it increases output by using artificially heated air. However, leakages lead to the loss of hot air, which is a significant expense and a significant setback in greenhouse production. To minimize the cost of heating air and other associated problems, it is important to shut off exhaust devices, especially when they are not required while also covering all the small holes and gaps in the greenhouse envelope. Greenhouses use the mechanism of heated air to support crop growth in a controlled medium. This means that heat is an essential aspect of the greenhouse management plan. However, excessive solar gain could have a devastating impact. Some greenhouses are currently using mechanical cooling, which is extremely expensive, especially in summers. Retractable curtains and ceilings have proven to be very useful as they lower energy cost by more than 30%. Greenhouse experts have also reported that retractable curtains help to prevent heat loss. Technology has become a major cause of the change in greenhouse management. Like mainstream businesses, greenhouses have also been affected by disruptive technology. However, in this case, technology is playing a major role in changing how greenhouses operate. Old and outdated climate control strategies have been replaced with energy efficient and climate-sensitive tools. As a greenhouse farmer, you need to understand the current technology as it will not only cut operational costs but will increase production by threefold. For maximum climate control in greenhouses, ventilation is a crucial factor. One of the prime factors in controlling humidity in greenhouses is ventilation. It is common knowledge that excess moisture creates a conducive medium for pest and diseases. Therefore, you need to incorporate standard ventilation systems that will minimize humidity in the greenhouse and help the crops to prosper at peak levels. You can consult greenhouse experts if controlling humidity becomes an issue of concern. All greenhouses significantly depend on various mechanical systems for maximum operations. There some vital mechanical equipment such as ventilation systems, water distribution systems, cooling and heating systems among others. These systems and equipment need maximum control and management. They play a vital role in crop production and, slight mechanical damage could signify significant challenges in greenhouse production. Regular and scheduled maintenance could have a substantial role in crop production while at the same time enhancing greenhouse lifetime. Greenhouses are sensitive farming systems that demand maximum control in every aspect. Temperature is a critical aspect of the performance of a greenhouse. A considerable number of farmers make the mistake of paying too much attention to air temperature forgetting that water temperature is also a critical aspect of greenhouse success. Therefore, regulating water temperature is a vital aspect of the success of greenhouses. This means that there should exist an integrated system that controls all aspects of the temperature within and around the greenhouse to prevent unwanted results.